Keurig Coffee Lover's Collection (40ct.) HOT DEAL (HURRY)! Home online deals Keurig Coffee Lover’s Collection (40ct.) HOT DEAL (HURRY)! Update: That deal always goes quickly! Check out all of the Current Amazon Warehouse deals on coffee here! Update! Back Again – HURRY! The 60ct. is no longer available but if you HURRY, you can get this Keurig K-Cup Sample pack 40ct. for as low as 23¢ per K-Cup!! (Link above for the current deal) Look what we found for you on Amazon! 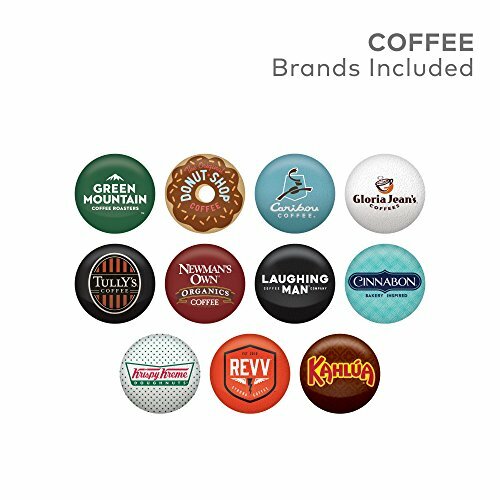 Hurry and get the Keurig Coffee Lovers’ Collection, Single Serve Coffee K-Cup Pod, Variety, 60 today for only $18.50 from Amazon! That’s just 31¢ per K-Cup (Way less than my 40¢ stock-up price)! Hurry! This is the best price ever on Amazon. Be quick since this is a limited time Warehouse Deal, and there is currently no limit. These deals can be short dated or overstock. Includes 3 K-Cup pods from 20 popular varieties, including Green Mountain Coffee Roasters Breakfast Blend, Green Mountain Coffee Roasters Dark Magic, Green Mountain Coffee Roasters Nantucket Blend, Green Mountain Coffee Roasters Colombia Select, The Original Donut Shop Regular, The Original Donut Shop Dark, Laughing Man Dukale’s Blend, Laughing Man Colombia, Newman’s Own French Roast, Newman’s Own Organic Special Blend, REVV No Surrender, Caribou Coffee Caribou Blend, Caribou Daybreak Morning Blend, Tully’s Coffee Italian Roast, Tully’s Hawaiian Blend, Cinnamon Classic Cinnamon Roll, Gloria Jean’s Butter Toffee, Gloria Jean’s Hazelnut, Krispy Kreme Classic and Kahlua Original. Buy the Keurig Coffee Lovers’ Collection, Single Serve Coffee K-Cup Pod, Variety, 60 from Amazon. Next articleDannon Coupons & Deals at Giant Eagle!